Top of the canal! The summit! 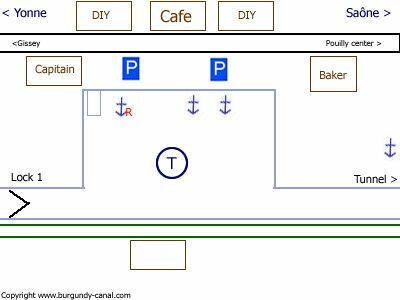 The town offers all the ammenities that you need with hotels, cafes, restaurants, shops, banks with change, supermarket, hardware stores, bakeries and a market. 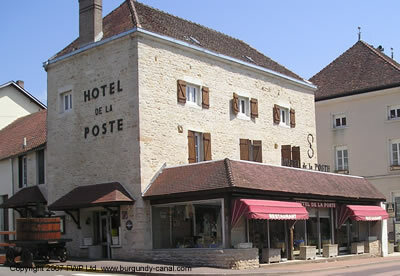 There are a number of small restaurants with good menus, such as at the Hotel de la Poste in the centre of the town. This is a view from on top ot the tunnel looking towards the port. The tall trees on the left and right offer a shaded path. 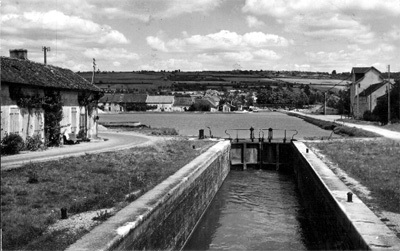 The canal has steep sided stone walls rising higher and higher as the tunnel entrance approaches. The old port, just on the town limits is a welcomed rest place for navigators, it is easy to do repair work, refuelling, painting etc. The moorings are deep, and you can tie up your boat along the quay. Just beside the port are some very practical DIY and hardware stores. During harvest time the cereal silos on the other side of the port can be noisy, but it is a special time of the year. 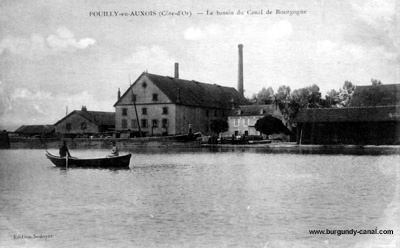 View of Lock number at the port of Pouilly, the other side of the hill it is down stream to the Rhone. Will you find information about the excursion through the tunnel in the local toursim office or at the port. 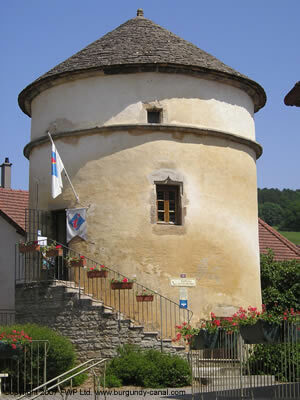 There is a passenger boat which can take you on a voyage through time and the tunnel from Pouilly to Escommes. Years ago this was an important canal port, with a tile and brick factory and important grain silos. The port is well managed and there are all facilities nearby. 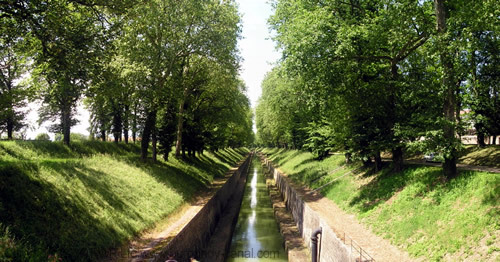 The tunnel passing through the Auxois hills opens the access to the river Saone, once on the other side you cruise down stream to Escommes.